Welcome to the Golf Fitness Blog! Here you will find all updates and new information added to golf-fitness-and-training-tips.com. If you would like to subscribe to this blog, please click on the orange RSS button. Please check out the items below for the latest updates! A golf fitness assessment should be performed prior to starting any training program. Learn exactly what comprises this assessment here. Continue reading "The Key Components of a Golf Fitness Assessment"
A proper golf swing is dependant on balance! Learn specific balance exercises to help improve stability during your golf swing. Continue reading "Specific Balance Exercises For Your Golf Strength Training Program"
A Complete Golf Resistance Training Program For Golfers Of All Levels! My golf resistance training program, Better Fitness Better Golf, will show you exactly how to improve your strength and endurance from the off season to the post season. 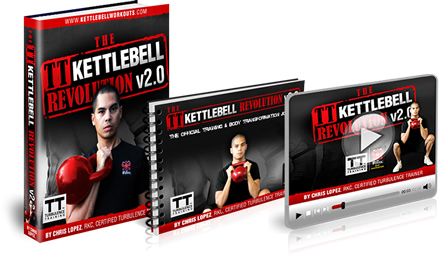 Continue reading "A Complete Golf Resistance Training Program For Golfers Of All Levels!" Continue reading "Rory McIlroy Workout Routine"
Continue reading "12 Week Golf Fitness Training Preparation"
Specific shoulder workouts and exercises to help keep you on the golf course. Continue reading "Shoulder Workouts For Injury Prevention"
Golf swing tips for all phases of the golf swing from the proper golf grip to the follow through. Continue reading "Golf Swing Tips For All Aspects Of Your Game"
Back injuries are very frequent in golf. Low back exercise will help prevent these issues through strengthening and flexibility. Continue reading "Low Back Exercise Tips For Golfers"
Read golf training aid reviews for various products such as clubs, gloves, nets, and more! Continue reading "Golf Training Aid Reviews Designed To Help You Prepare And Train Better"
Golf Fitness Tips For Understanding The Importance Of Exercise And Fitness. Examining golf fitness tips, history of fitness in golf, and the importance of proper exercise. Learn how exercise can help transfrom your golf game! 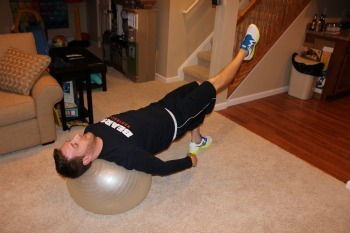 Continue reading "Golf Fitness Tips For Understanding The Importance Of Exercise And Fitness." 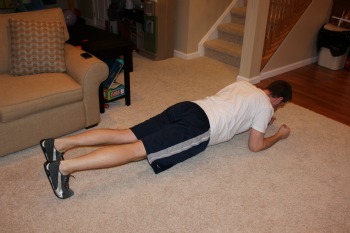 If the plank exercise isn't part of your golf fitness program, then I strongly urge you to add it! Learn why you need to add this exercise here! Continue reading "The Plank Exercise: Hands Down, One of the Best Core Exercises"
The bridge exercise, and its variations, are challenging exercises that can provide an excellent core workout for golfers of all fitness levels. Continue reading "Why Your Golf Fitness Program Should Include The Bridge Exercise"
Visit my e-store to find recommended books, golf fitness products, and training aids and more! Continue reading "These Are My Favorite Golf Fitness Products To Help You Improve Your Game"
Looking for more of a challenge with your exercise ball? This stability ball workout might just be what you are looking for! 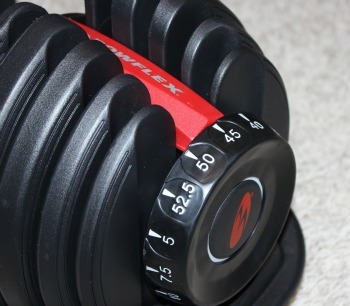 Continue reading "An Advanced Stability Ball Workout For Golfers"
Check out this review of one of the latest additions to my own workouts, the Bowflex Selecttech 552 free weights. Continue reading "Review of Bowflex Selecttech 552"
A proper golf fitness program needs to be tapered to it's participant and there are specific differences with strength training for women versus men that need to be addressed. Continue reading "Specific Differences With Strength Training For Women Versus Men"
Learn about the Functional Movement Screen (FMS) and why it is an important assessment tool for golf. Continue reading "The Functional Movement Screen (FMS) And Golf"
A golf specific strength training program for kids can be an effective way to help progress their golf game. Continue reading "Golf Specific Strength Training For Kids"
Posture Correction Ideas That You Should Implement Now! Bad posture can wreak havoc on a golf swing! These posture correction tips will help you get back into good alignment. 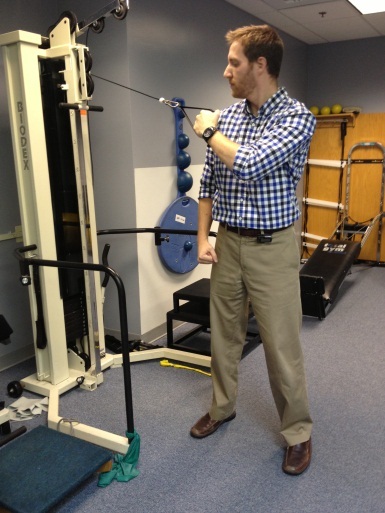 Continue reading "Posture Correction Ideas That You Should Implement Now!" These golf swing drills will help you make a more efficient, fundamentaly sound, and powerful golf swing! Continue reading "Golf Swing Drills For A Smoother, More Effective Swing"
Learn about the most common elbow injuries that occur to golfers, in addition to injury mechanisms, treatment, and prevention tips..
Continue reading "Elbow Injuries That Occur in Golf Including Tennis Elbow And Golfer's Elbow"
Continue reading "Fast Twitch Versus Slow Twitch Muscle Fibers"
Flexibility exercises and golf stretches are essential for anyone looking to correct muscle imbalance, improve range of motion, or have a more efficient swing. Continue reading "How Flexibility Exercises Can Help Improve Your Golf Game"
Proper nutrition for sports is essential for maintaining your energy levels. Learn how golf nutrition can help your game simply by eating and drinking the right things! Continue reading "Nutrition For Sports - Golf Nutrition Combined With Fitness"
Specific golf stretches and flexibility exercises to perform in your pre round warmup. Continue reading "Golf Stretches And Pre-Round Warmup Exercises"